Rey Urban born September 14 1929 he was a Swedish silversmith and designer. 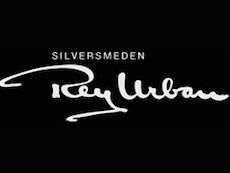 Urban started the company Silversmeden Rey Urban in1950, during his training at the College of Arts in Stockholm. Urban received his masters in 1955 and created both practical and useful jewelry, which combined craftsmanship with contemporary techniques. Over the years, Rey Urban had numerous exhibitions both abroad and in Sweden.